On Saturday, December 8th, Dior is offering free makeovers at Macy’s! Grab a friend and get your makeup done for a good cause. 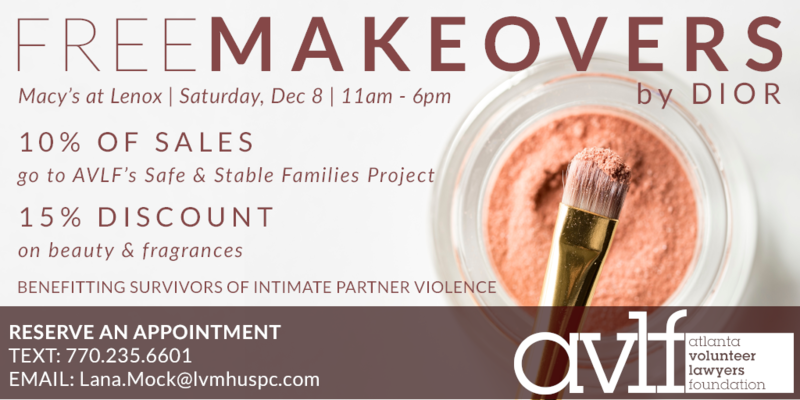 If you purchase any products, you’ll get a 15% discount on beauty & fragrances, and a portion of all proceeds will benefit survivors of intimate partner violence. Email Lana Mock to reserve your spot.